MOSCOW, March 14. /TASS/. A Berlin court has ordered former shareholders of Hally’s Parsons Green, linked to now defunct oil company Yukos, to compensate Russia its legal costs to the tune of 188,000 euros, Head of the International Legal Protection Center representing Russia in the Yukos case Andrei Kondakov told TASS. "These days Berlin’s regional court delivered a judgement that ex-shareholders of the Hally’s Parsons Green company should compensate Russia 188,000 euros in legal costs linked to a proceeding launched by Germany in 2015 to demand Russia pay $50 bln in accordance with The Hague Arbitration Court’s well-known decisions," Kondakov said. According to the attorney, Germany was the fifth country where the courts ordered former Yukos shareholders to compensate for Russia’s legal costs related to unfounded lawsuits and proceedings abroad, initiated by this company’s structures. Earlier, the courts in Sweden, the United Kingdom, France and Belgium delivered similar decisions. 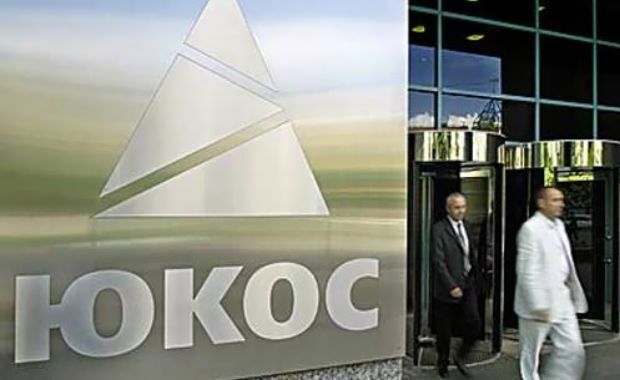 "By now, the total sum of legal costs, which according to the Western courts’ verdicts have been or should have been recovered from former Yukos shareholders for Russia, reaches $5.7mln," Kondakov said. He highlighted that Russia would continue its effort on compensating for legal costs related to defending its legal interests. The Permanent Court of Arbitration in The Hague in 2014 ordered Russia to pay nearly $50bln to companies linked to former Yukos shareholders - Yukos Universal Limited, Hulley Enterprises Limited and Veteran Petroleum Limited. The court decided that Russia’s steps against Yukos could be considered as expropriation of investments in violation of Article 45 of the Energy Charter, which Russia had signed but did not ratify. On April 20, 2016 The Hague District Court recognized this decision as invalid saying that Russia was not obliged to pay $50 bln in compensation.